Headed to New York Comic Con this weekend and need a dinosaur fix? Los Angeles based jewelry company, Han Cholo will be there with new ‘Jurassic Park’ items! Han Cholo released ‘Jurassic Park’ 25th anniversary jewelry and pin collection earlier this year, and they are bringing two new items to NYCC this weekend! The pin is priced at $15, while the T.Rex pendant is going for $200. Did you pick up any of the already released JP25 items? If so, what did you think? Sound off in the comments below! Ellie Sattler is Finally Getting a Jurassic Park Funko Pop (Kinda)! All major theme parks have delays, and apparently so do fan beloved Jurassic Park characters from Funko. After releasing their Jurassic Park 25th Anniversary assortment early this spring, one of the three main characters was noticeably missing. Despite being present within a Jurassic Park Jeep in early leaks prior to announcement, Ellie Sattler was nowhere to be found when the products were official unveiled. As Ellie was the only female character in the lineup and was being bundled with a vehicle, only to then be entirely absent from the range, the news was met with understandable ire – but Funko continued to assure fans good news would be coming soon. After want felt like epoch without an update, Funko today announced the Ellie and Park Jeep bundle is coming out this November! The long delay led to fan speculation that Funko would change Ellie’s box, which simply labels the set as ‘Park Vehicle’ without calling her out by name – or by announcing a standalone Ellie Funko Pop. However those particular wishes were left unanswered. It’s disappointing to sideline one of the main characters as a bundle, particularly when she’s the only female representation within the Jurassic Park range – especially to the female fans, who so often do not get their fair shake in representation (though Jurassic merch has recently moved forward to better representation with great strides overall). As it’s the standard way they label their vehicle series (by vehicle name, and not character) hopefully Funko plans to release Ellie as a standalone sometime in the near future. She certainly has earned it. In a culture and industry where female representation is often stifled and sidelined, it’s quite frustrating to see such an iconic and prominent character seemingly meet that fate. Those issues aside, this is a great set, and I cannot wait to finally add Ellie Sattler to my Jurassic Funko collection after a much overdue wait. 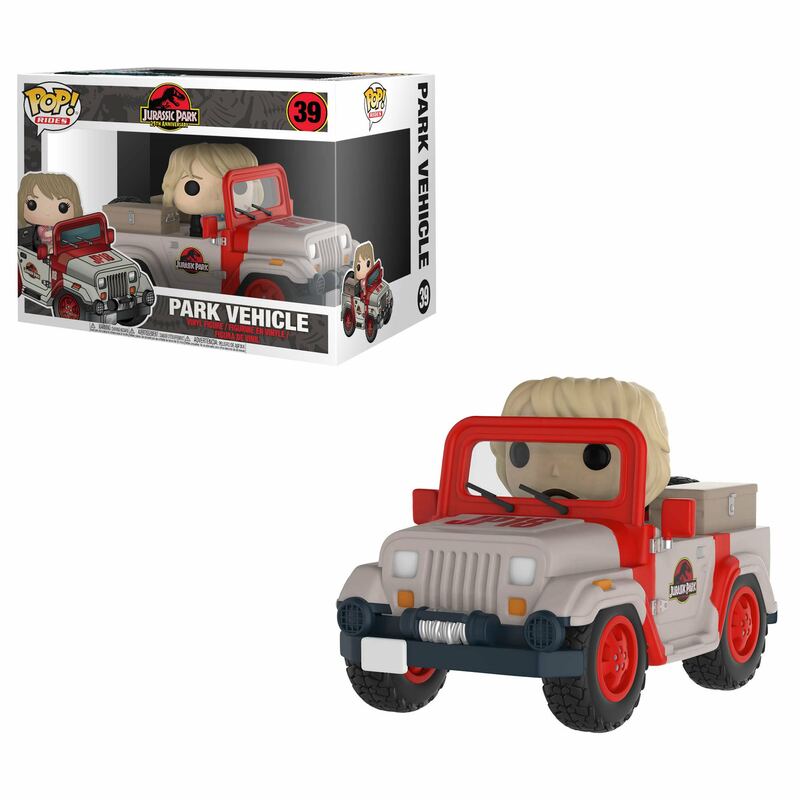 The Jurassic Park Funko Pop ‘Park Vehicle’ with Ellie Sattler retails for $24.99, and is currently available for pre-order on Entertainment Earth.